Nowadays GPS tracking system is so common for automotive industry. The usage is not always limited to vehicle security tracking but also can be extended to be used for children or even your pet location tracking, with condition that the GPS module is tiny enough and portable to be carried around. By looking at this opportunity, Zoombak has just introduced a new solution that utilized both satellite and cellular network to provide fast and accurate location tracking to its subscribers. Weighted at only 2.5 oz, the GPS module is ultra small and lightweight enough to be carried around. 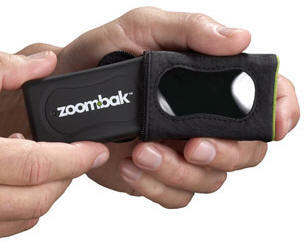 The module is backup by an Zoombak online system for fast location tracking at any time. Subscribers can either logon the official website provided or contact customer care hotline for live location support. Besides, Zoombak is going to launch text message location request service via cellular network. Few features that worth to be mentioned here, the tracking system can give continuous tracking update, from interval of 5 minutes up to 1 hour. Also, the subscribers will have ability to view the track route history and all these information will be shown clearly in the online map. The module can be powered up continuously for five days in standby mode. In case of low battery or the device is shut down intentionally, there is a device alert feature that enables Zoombak to send notification email or SMS to the subscribers so that they can act appropriately.